Czarniecki, Stefan, b 1599 in Czarnca, Poland, d 16 February 1665 in Sokolivka, Galicia. Prominent Polish 17th-century military leader, Ruthenian voivode from 1657 and crown hetman in 1665. 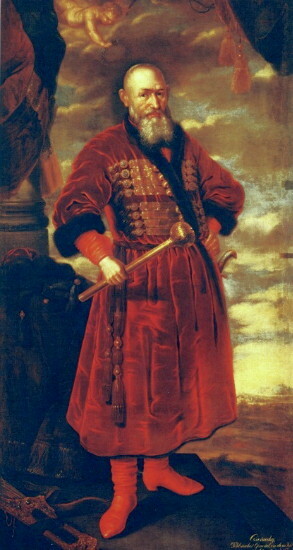 From 1648 Czarniecki participated in battles during the Cossack-Polish War. 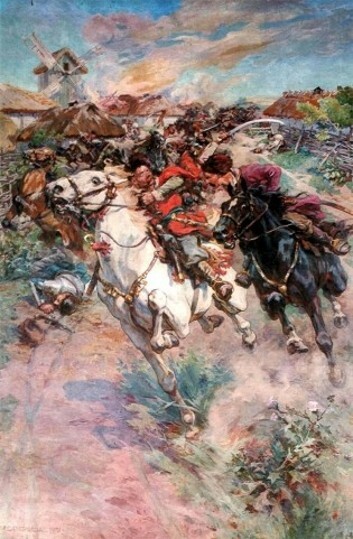 At the Battle of Zhovti Vody he was captured first by the Tatars and then by the Cossacks. After being freed, he fought as a colonel at the Battle of Zboriv (1649), the Battle of Berestechko (1651), and the Battle of Batih (1652). In 1653 he was defeated in Podilia by the Cossacks under Colonel Ivan Bohun. In 1654–6, during the Cossack-Polish War, he took part, along with the Tatars, in the razing of the Bratslav region. In 1655–8 he led the Polish forces against the invading Swedes and Transylvanian Prince Győrgy II Rákóczi. In 1661–4 he took part in Poland's war with Muscovy. In 1664–5 he laid waste to the Kyiv region. He went so far as to order the exhumation of Hetman Bohdan Khmelnytsky, and his troops annihilated the population of the town of Stavyshche.